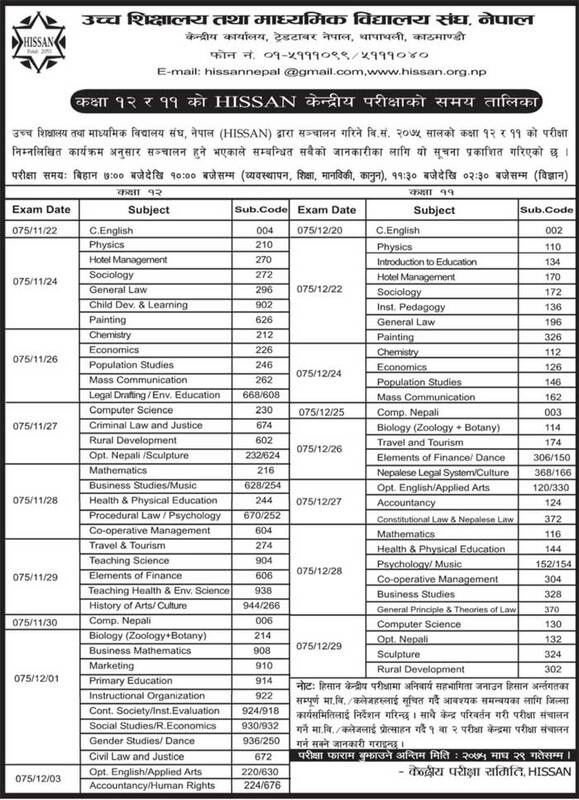 Higher Secondary Association Nepal (HISSAN) has published the examination routine of grade 11 and grade 12 for the year 2075 BS . According to the routine, examination starts from Falgun 22, 2075 onwards and ends on 3 Chaitra 2075 for the grade 12. For grade 11, examination starts from 20 Chaitra, 2075 onwards and ends on 29 Chaitra 2075.